Ronald Dal Vochaska, 82, of South Haven, passed away in his sleep on Sunday, February 3, 2019 at his home at River Ridge Retirement Community under Hospice care. He was born April 20, 1936 to Dal and Millie (Lesk) Vochaska in Chicago, Illinois. Ron married Leeanne Schabbel on January 13, 1954 in South Haven. They shared 65 years in marriage. 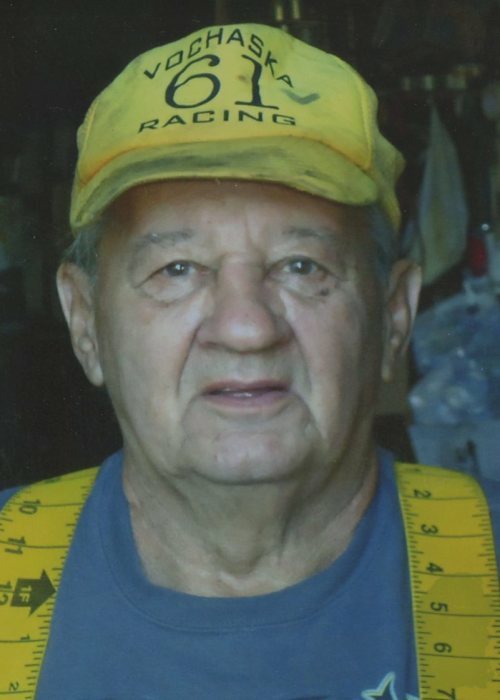 Ron was a self-employed mechanic who raced cars his entire life including his No. 61 stock car and Ruff ‘n’ Ready at the drag strip. Ron raced at Martin Dragway, Berlin, Kalamazoo, Galesburg, and M-40 Speedways in Michigan and South Bend and Plymouth Speedways in Indiana among many others. Ron also enjoyed his CB radios and playing cribbage. He is survived by his wife – Leeanne Vochaska of South Haven, children – Vern (Paula) Vochaska, Jeff Vochaska, and Vicki Vochaska Tripp all of South Haven, and grandchildren – Alan (Erin) Vochaska, Josh Vochaska Tripp, Caleb Vochaska, and Isabella Vochaska. The family would like to thank Southern Care Hospice and River Ridge Retirement Community for their unwavering care and compassion. The family also asks that donations to Southern Care Hospice be made in Ron’s name in lieu of flowers.